Many salespeople would rather spend eight hours on the factory floor than eight minutes in front of a purchasing agent. Yet the purchasing agent is often the essential character in the company buying scheme. Usually the purchasing agent enters the buying picture sometimes after the initial sale, or after the initial commitment. This is particularly true in the case of automotive OEM’s, which price buyers are. He or she may be called a buyer or be in procurement. Sometimes, the purchasing agent is part of the initial buying decision. Sometimes, the purchasing agent is the decision maker (especially when the customer organization doesn’t have “purchasing agent” or staff). But there is always a purchasing agent. Many salespeople see the PA as an adversary. Often there is good reason to view the PA as an adversary, but to act as if the PA is the enemy, creates an adversarial and anti selling situation. Good salespeople never treat the PA as an adversary regardless of how obnoxious, arrogant, or small minded the person may be. Good salespeople try to understand the PA’s unique business position, and try to put themselves in the PA’s place. The PA is often in box. He is under great pressure to cut costs. He is also a human being and is in a relationship situation with the human beings who sell to his company. Like most people, he his fair, honest, hardworking and wants to have friends, not enemies. The good salesperson understands the PA’s internal tension. The PA, particularly today, is connected with product quality. He does not want to jeopardize his company’s end product by cutting quality. The PA defines quality in many ways including delivery promptness, warranty experience, percent of shipment defects, rejects and other realized cost and time saving. In many industries, a new breed of PA is emerging, and with very different responsibilities and workloads. Often pre-trained in finance or accounting. More often than in the past, the buyer is women. Sometimes looks for a job in sales. Is moved among product assignments at least every two years. Is overloaded with purchasing responsibilities, as the number of PA’s has been reduced at most companies. He buys more products, and spends more money. Is buttoned-up, business-like, and has very little time for each supplier. The PA also understands that long term relationships with good suppliers save his company money. He understands the turmoil associated with the education of a new supplier. He understands that experience is an investment. Consequently, the PA is, in actually, loathe changing suppliers. A supplier has to be exceptionally bad to be taken off the approved list. And a new supplier has to be exceptionally skillful and persistent to take business away from m good, entrenched competitor…………. especially a single source supplier. This dynamic underscores the need for the salesperson to find ways to regularly inform the PA.
WHAT PURCHASING PEOPLE LIKE TO HEAR AND SEE DURING A SALES CALL? Ideas to make the PA a hero. Knowledge of what your product can do for him and his company? A clear schedule of appointments and agendas. Request to participate in the buyers value analysis committees. Always inform your customers’ PA when you will be visiting their company even if you are not going to see him. Ask the PA how he’s decisions and performance are reviewed and evaluated by his superiors. Find out what is expected of him. Keep a customer service value file for each customer. (See “Customer service value file”). Review this regularly with the PA. Keep detailed records on how many visits you and others in your company have made; how many hours of free engineering and technical service provided; value of samples, literature, tests, emergency services and training at headquarters. Also quantify the value of your product benefits to the PA Company. For example, if your product solved annual costs of 3% on $9 of manufacturing costs then the cost benefits your customer receives is $270,000 per year…multiplied by the number of years your application is in use? Have your other contracts in the PA Company write letters of support for your efforts. In fact, you should write the letters for your non PA contacts. Put these in the CSV File. Constantly give the PA ammunition to prove to his superiors that you are a bargain, a great investment. Always set an appointment, usually for 15 to 30 minutes. In the first 1 minute tell the PA your objective for the meeting, how long the meeting will last (even if he knows), and what he’s expected return (on the sales cost, or investment) will be. Handling the PA price objections is a constant sales process. Another portion of this program deals extensively with handling price objections in general. However, your job is to move the PA to consider your quantified product benefits, not just price. Find out the PA needs. Ask him what his supplier’s selection criteria are. Find out his expectations of the arrangement. Ask what he likes and dislikes about suppliers. Ask for an order or for a specific act that leads directly to an order, but don’t be disappointed if you don’t obtain one right then and there. You should plan to make at least 5 different and preplanned calls before the buyer has confidence in you. Except 25% acceptance on the first or second call. If you walk out of a sales call thinking, “That guy was a dope” you have failed. The Purchasing Department wants to get the most out of you and give you the least. Be sure the first order is handled flawlessly. Once established, except to maintain the account. However, don’t take the account for granted. If it is a key account, keep in regular contact. The purchasing agent doesn’t want to call you. But your competition will be there. Be punctual. If you are running late, have the courtesy to call. Time is important to both of you. Have a meaningful benefit to present. Know your own product line. Know your account’s personality, demands, needs and wants. Do your homework on proposal. Generally don’t ask to requite unless you were given erroneous information or there was a change in ground rules. Be neat, stylish, well mannered, and professional. Know your competition, and their sales staff. Keep your calls to the purchasing department brief unless you were asked in. Establish the ground rules for your next call. Show them something new or use a new approach on each call. Train your inside customer service people, and everyone else how to treat the account. Bring any key inside people to visit key customers. If you don’t understand a request or a question, repeat it. Don’t lay your briefcase or any other tool kit on a desk without permission. Don’t talk more than 20% of the call. (Ask question and listen). Don’t interrupt when the customer is speaking. Don’t forget your price list and literature etc. Don’t overstay your welcome. When you accomplish your objective………. Leave. Don’t go on a call unprepared. Purchasing executives regularly attend “professional” buying courses and seminars. Unfortunately, some of the techniques they are taught are unprofessional and adversarial. They are also taught buying skills that require salespeople to have exceptional preparation and negotiating skills and abilities. These are typical purchasing ploys you should prepare to face and overcome. “Ask for the sky”. For example, P.A.’s are encouraged to ask every single salesperson for 2% net 180 day terms….. On the theory this will get better terms than what is being offered. “May I see your Books?” This buyer is looking for price negotiation leverage. “What percentage of your sales revenues do we represent?” This information helps the purchasing agent gauge how important he/she is to your company, in order to wrest concessions. “Fib about Bids” Buyers are counseled to overstate how much lower is a competitors bid? “Last Look” The buyer promises the salesperson he will get the “last look” at all the bids. The implication is the salesperson will have last chance to come in with a better offer. The reality in this ploy there is only a “last listen” – the buyer tells the salesperson how much lower the competition is, but never shows the written bid. “Make ‘em sweats!” One buying courses advises buyers to put the salesperson off-balance with inflammatory or abusive opening comments. “Get em to sweat and they will crumble.” One P.A. keeps a broken whip in her office. Don’t answer when asked. Buyers are told there are many closing techniques, and that most reps know only 2 or 3 but rarely use them. Buyers are introduced to certain common closes and told to remain silent when asked a closing question. Silence will wilt most sales people, and the sales person will either terminate the call or voluntarily improve the offer. 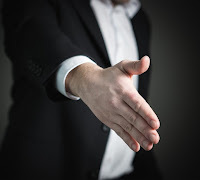 “This won’t fly with my boss” Bringing in an invisible decision maker, the buyer gains leverage over the sales person to blindly improve the offer. “Have to bring it to the committee.” This is the committee that never meets, but the introduction of an invisible decision maker creates another set of objections to overcome… and insulates the buyer from any negative decision. Demanding proposal after proposal, re works, referrals, and such are designed to wear the salesperson down and to divert him from his sales objective. “We’ll market test and shop around.” This threat to invite new suppliers to bid on the product is designed to get price concessions. The buyer implies that if there is not a better offer, than the customers other divisions will restrict doing business with the sales person’s company. LEAVE ‘EM IN THE LOBBY. The buyer makes the salesperson stew in the lobby. The ploy upsets the sales person’s schedule and the salesperson. Handling the ploys, overcoming objections and negotiation strategy starts before the sales call. Pre call planning and preparation is crucial to sales call success. Anticipate the objections and practice your response. Have a return sales call objective i.e. beneficial to the customer. Have the facts on the quantified benefits the customer gets or will get from your product or services. Be prepared, practiced, professional, dignified and calm. “Ask for the sky.” If you are asked for outrageous term, for example, counter with an offer i.e. slightly worse than where you are supposed to settle. Let the PA extract from you a concession or improvement on your initial response. “Show us your books.” This is a very controversial area and one that could have ethical over tones. There are reasons why customers should not see a company’s books: competitive security, corporation’s tax policies, union bargaining information and others. Another reality is that reviewing any company’s books or cost information is not easy. There are a wide variety of ways different companies define profits, costs, over heads, depreciation schedules, absorption rates, R & D allocations, and so on. The shrewd sales person uses this complexity to take advantage of the ploy. This ploy is a perfect opening to use your CSVF. Use the CSVF to show the buyer your company’s true and total investment in the customer. If you add an allocated portion of R&D, company’s investment in customers is huge. This is a legitimate way to answer the buyer’s economic query, and to sell the value of your product. “What percentage of your sales do we represent?” A correct response is I don’t know. We have thousands of applications throughout the industries. But you are a very important customer to our company and especially to me personally. You are so important we invest X$ (referred to your CSVF) every year in your business. For example, let us look at the various things we have done for you OK? We are trying our level best to publish more articles which concern more on selling skills using professional experience!